GET LICENSED - Live Training! This webminar is an overview of the Door Supervisor Training Course. The Health and Safety Executive (HSE) defines work-related violence as: 'Any incident in which a person is abused, threatened or assaulted in circumstances relating to their work'. We will equip you with successful strategies identify and tackle the root cause of conflict and risk. 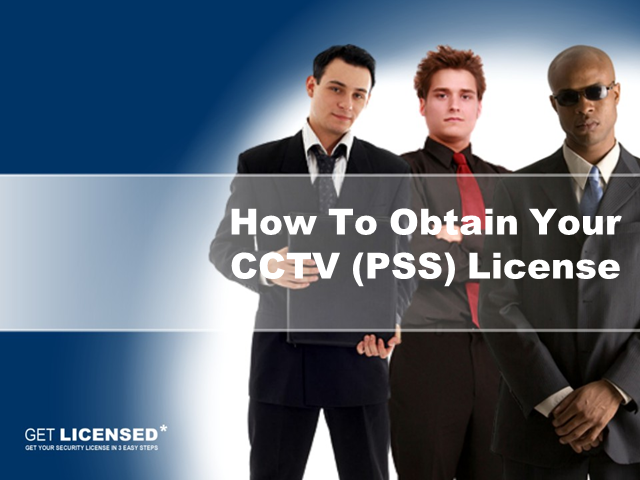 GET LICENSED is UK's Largest Security Training Provider offering SIA Licence compliant Door Supervisor, Security Guard, CCTV Operator and Physical Intervention training.